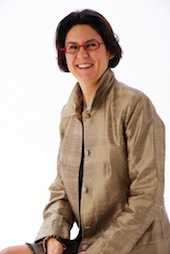 Elisabeth Legrain-FrÃ©maux is a ICF Certified Professional Executive Coach and Managing Director of Banksia Coaching International. She specialises in leadership development in multicultural organisations and has spent 20 years living and working in the Asia-Pacific region, facilitating between European and Asian team members. Elisabeth is inspired by her experience with Asian cultures, especially Japan where people know their past and tradition while accepting that the future will be different. Her philosophy is that knowing your roots and your values give you the strength to act with your best ideas and master your emotions in service of a balanced success. She is interested in innovation with a kaizen taste where improvement is a continuous process creating added value. Her mission is to establish this dynamic in service of corporate momentum where her clients learn to value their experiences as they develop their unique leadership style.